A gift box of our delicious, old-fashioned hand-pulled Peanut Brittle PLUS 2 pounds of Assorted Chocolates (approximately 60 pieces) make up this fantastic gift package. It's perfect for your important customers and valued clients. No matter what, your recipients are sure to be happy! We gift wrap each box, tie them with our signature ribbon and bows, and attach your personalized greeting message. Then we ship them right out to your recipients, without you needing to lift a finger. Just send us your message along with your list of addresses and we'll send your gifts out right away. Your client, customer, employee, special someone will be thrilled. Specify in the drop-down menu whether you want Milk (recommended) or Dark or Mixed chocolates. 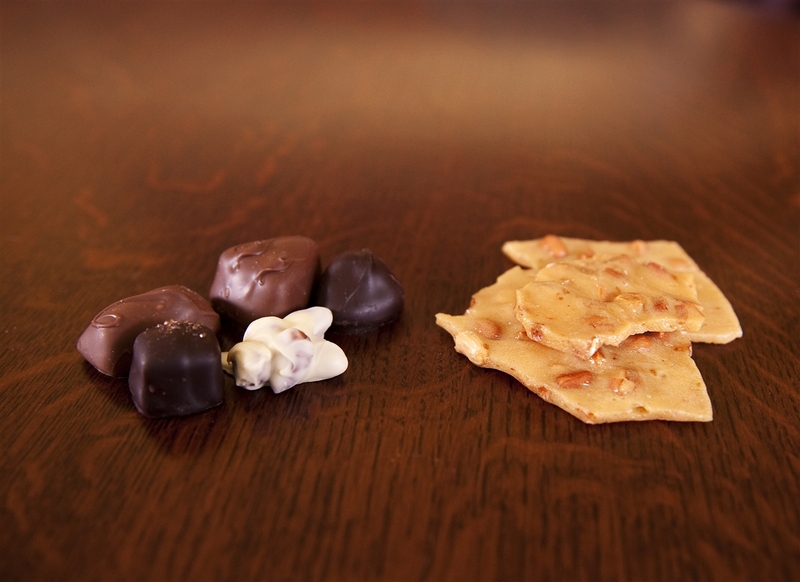 Our Famous Peanut Brittle or Creamy Fudge (Price includes shipping!) 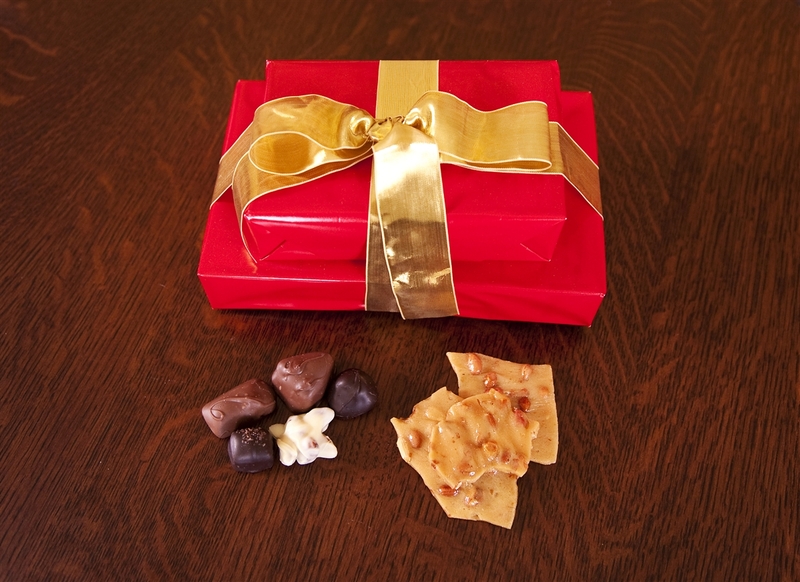 4LB Gift Pack of our Nut Bark, Creamy Fudge and Mixed Nuts (Price includes shipping!) 20 Pack of our 1 oz. Bark Bar Custom Mold Fee- Small mold 1-3 oz.